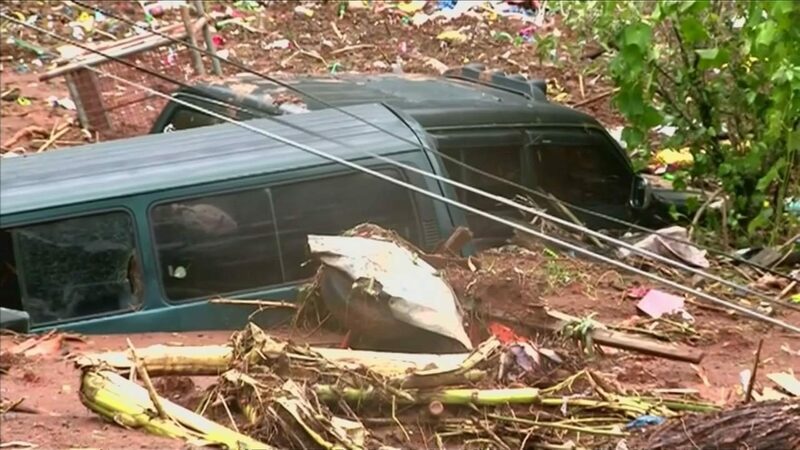 At least 40 people, mostly gold miners, are feared trapped beneath a landslide in the northern Philippines, in the wake of Typhoon Manghkut, which has now left 64 people dead. The ferocious storm slammed into southern China this morning, battering the region with torrential rain and hundred mile an hour winds. Almost two and a half million people have been evacuated from their homes, as the Chinese authorities issued a red alert.